This Snowman is a quick ornament that doubles as wall decor, is quick to make, and could be a great gift for your friends at Christmas. I am totally smitten by him! It was fun designing and making it so I decided to post a tutorial just in case you like him, too. 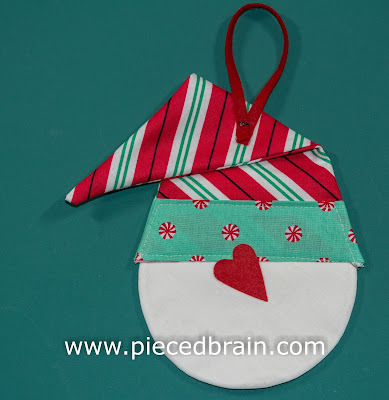 I used Michael Miller's Fawn Memories Christmas fabrics - they were perfect for this project. Download template by clicking here, and trace shapes onto template plastic. Cut shapes on the outline. 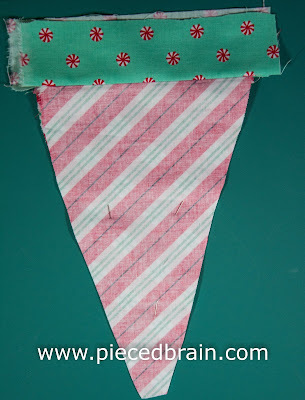 Arrange 2 squares of white fabric RST and place them over square of batting. 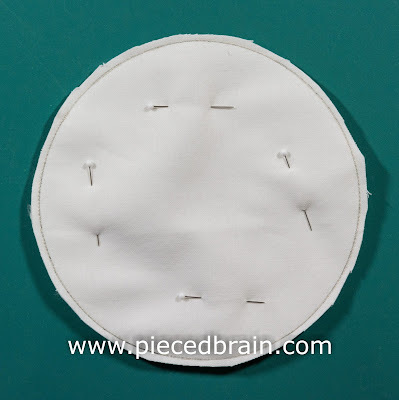 Trace circle template onto top fabric, pin and stitch over its outline using small stitches (1.8 setting on my Bernina). Using sharp scissors, cut 1/8" away from circle as shown above. 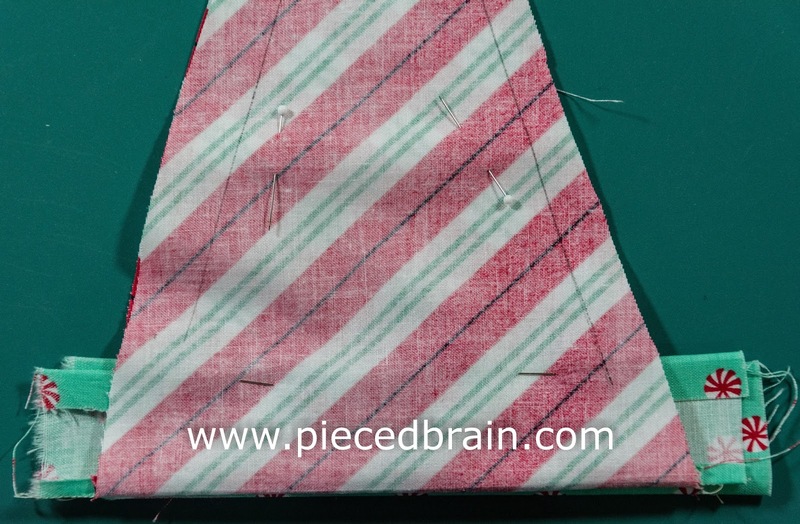 Carefully, pull away one of the fabric layers using a seam ripper and make a little whole. With the scissors, cut a 1" slit. 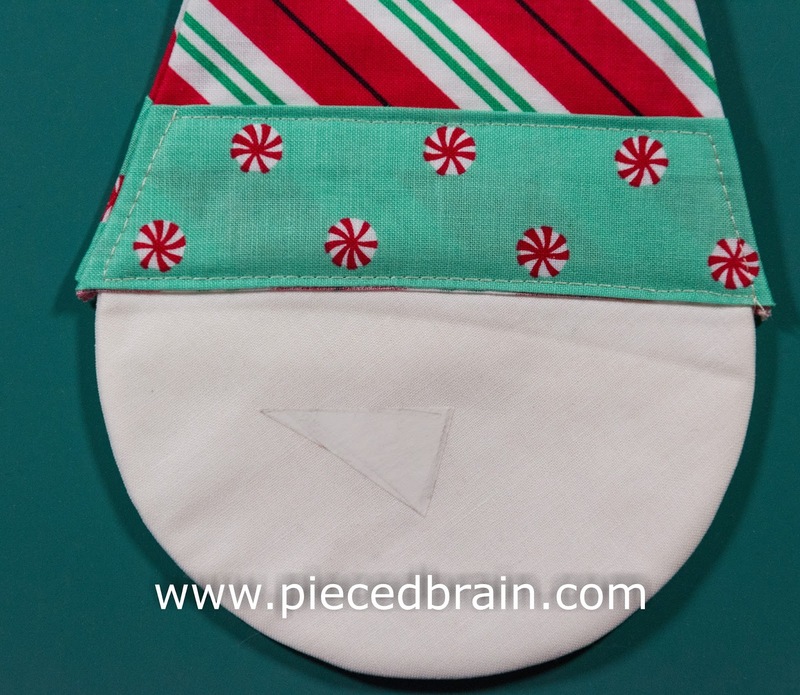 Pull all layers through the slip so the batting will be sandwiched between two white fabrics. (See below how I covered the slit which will be on back of snowman). Fold one of the fat quarters in half with RST, trace hat template onto top fabric and cut 1/2" away from outline. Cut (2) 1-1/2" x 6" rectangles from the other Xmas fabric, place the right side of each rectangle over the wrong side of the wide end of the hat fabric and stitch together. Repeat with the other rectangle and other side of hat. Press seams open, then fold in about 1/4" of the hat bands and press. Pin band in place but away from sides of hat. Stitch hat over the outline, trim excess bands, press and flip it to the other side. Press again. Slide it over the snowman's head and topstitch band as shown above. Trace nose template onto Hot Melt sheet, cut nose on outline and position it on face with paper side up. Iron for 30 seconds using a circular motion and no steam. 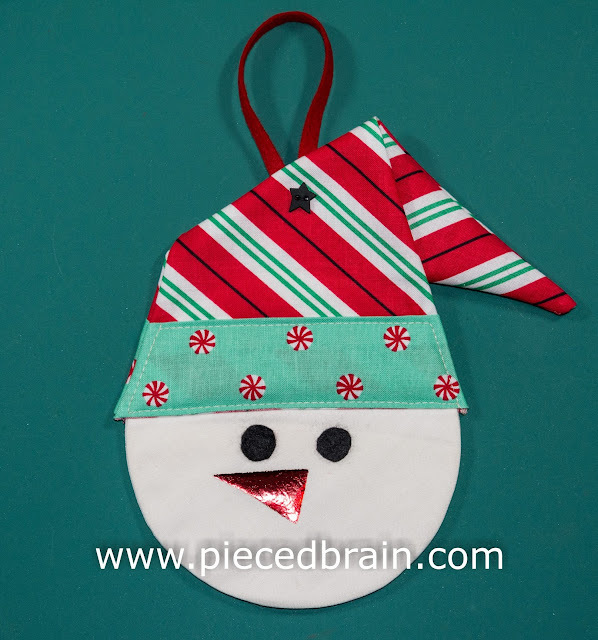 Using the hot glue gun, cover slit on back of snowman with a heart cut out of scraps of red felt. Fold hat as shown above. Position hanging loop on back and stitch button to front making sure to stitch through hat and hanging loop. Once nose is at room temperature, peel off paper, place Deco-Foil over nose with red color facing up and iron it for about 35 seconds using a circular motion and no steam. Once at room temperature, peel foil carefully. Attach eyes with hot glue gun. Also, place a drop of glue onto hanging loop where your stitches show to seal the stitches and prevent them from loosening. There you have it! I really like this ornament!!! I have already been 'commissioned' to make one for each of my sons... It will be a pleasure. 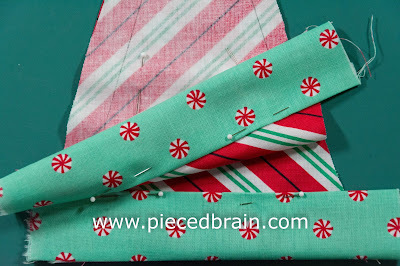 I will use other fabrics from Michael Miller's Christmas collection because they are really cute. I will be linking to a few parties: My Quilt Infatuation today, and Crazy Mom Quilts and Confessions of a Fabric Addict tomorrow. That is darling! Thanks for the tutorial. Thank you! I am loving this snowman!!! How sweet! Thanks for the tutorial. Achei a ideia bem legal. Uma árvore cheia deles ficará linda! E também é possível fazer aproveitando CDs!